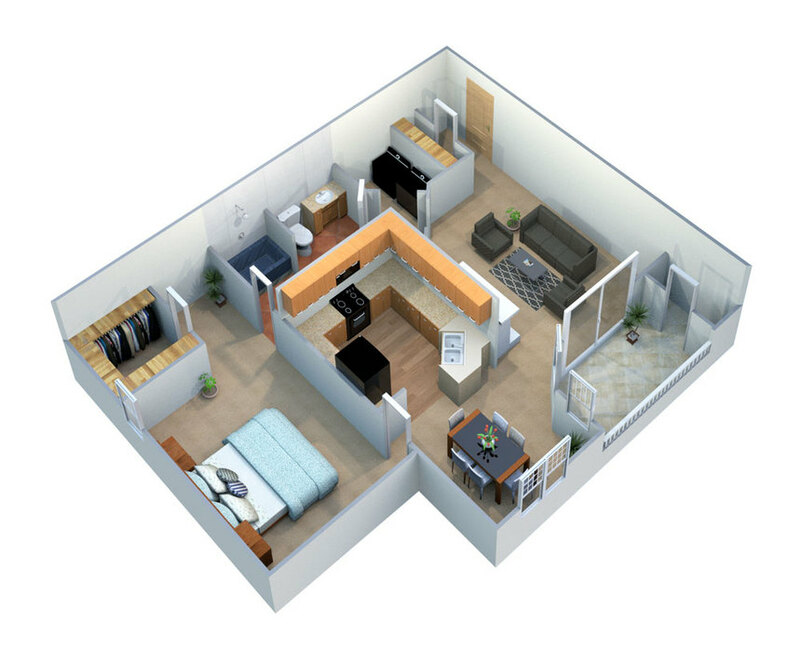 This floorplan features nine-foot ceilings, separate dining area, duel entry into bathroom with soaking tub, utility room with full size washer and dryer connections, walk-in closet, and large private patio/balcony with outside storage. 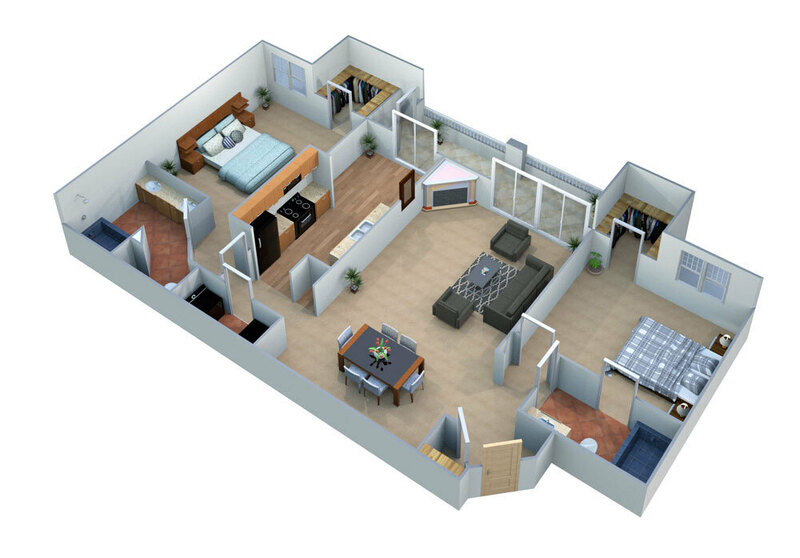 This floorplan features nine-foot ceilings, separate dining area, duel entry into bathroom with soaking tub, utility room with full size washer and dryer connections, walk-in closet, a large private patio/balcony with outside storage, and attached breezeway garage. This floorplan features nine-foot ceilings, entry coat closet, separate dining and pantry area, open breakfast bar, utility closet with full size washer and dryer connections, walk-in closet, wood burning fireplace, and expansive private patio/balcony with outside storage. This floorplan features nine-foot ceilings, entry coat closet, separate dining and pantry area, open breakfast bar, utility closet with full size washer and dryer connections, walk-in closet, wood burning fireplace, and expansive private patio/balcony with outside storage. *Select units could reflect upgraded appliances, cabinetry, countertops, wood style flooring, and hardware. 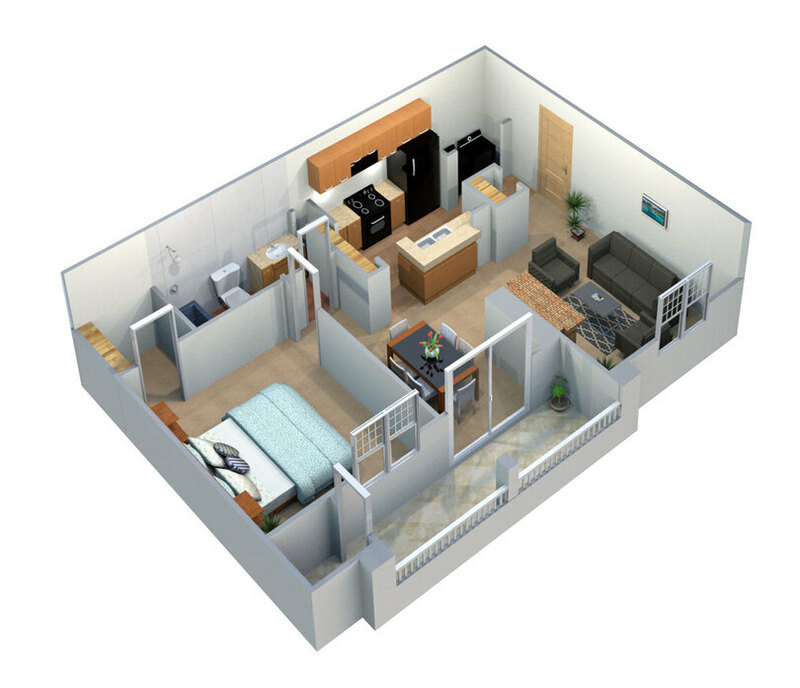 This floorplan features nine-foot ceilings, separate dining area, duel entry into bathroom with soaking tub, utility room with full size washer and dryer connections, walk-in closet, and large private patio/balcony with outside storage. *Select units could reflect upgraded appliances, cabinetry, countertops, wood style flooring, and hardware. 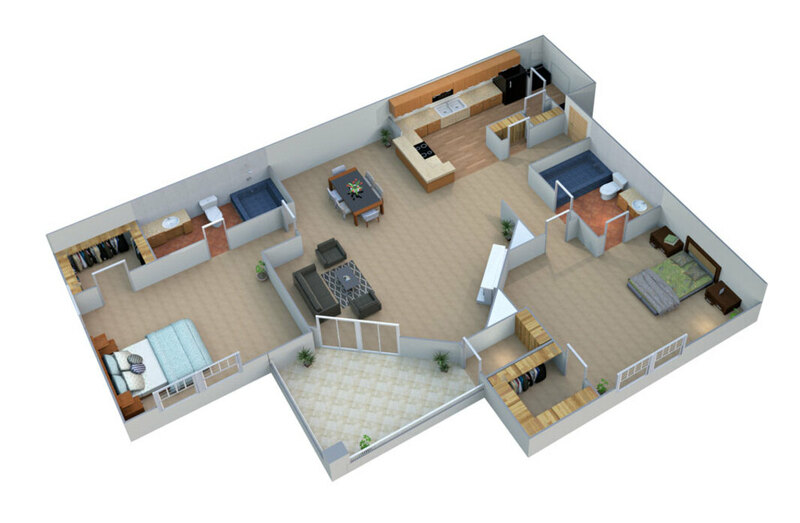 This floorplan features nine-foot ceilings, entry coat closet, separate dining and pantry area, open breakfast bar, utility closet with full size washer and dryer connections, walk-in closet, wood burning fireplace, expansive private patio/balcony with outside storage, and attached breezeway garage. *Select units could reflect upgraded appliances, cabinetry, countertops, wood style flooring, and hardware. 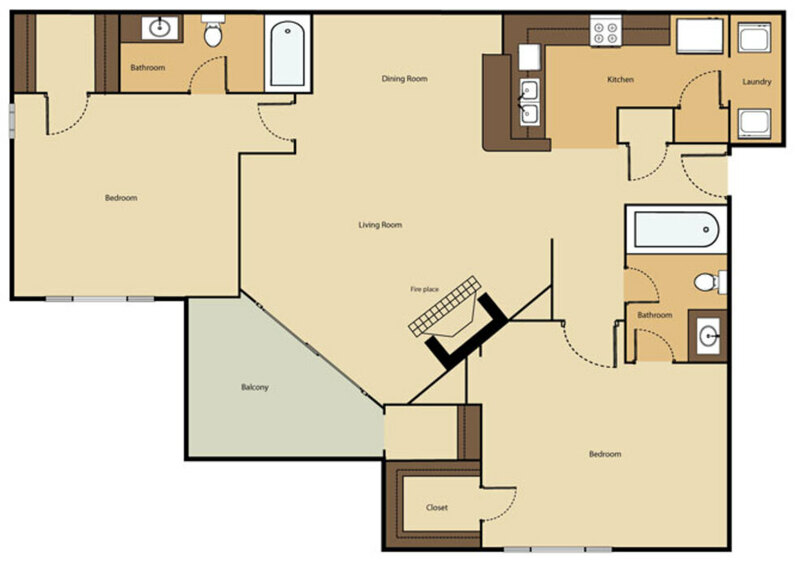 This floorplan features nine-foot ceilings, large entry coat closet, separate dining area, large wrap around kitchen, duel entry into bathroom with soaking tub, utility room with full size washer and dryer connections, walk-in closet, wood burning fireplace and large private patio/balcony with outside storage. This floorplan features nine-foot ceilings, entry coat closet, separate dining and pantry area, open breakfast bar, utility closet with full size washer and dryer connections, walk-in closet, wood burning fireplace, expansive private patio/balcony with outside storage, and attached breezeway garage. 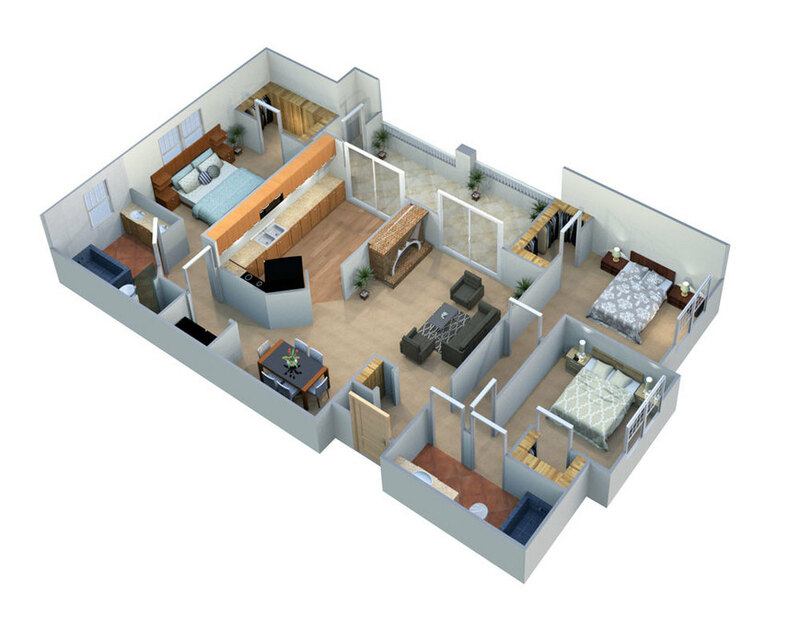 This floorplan features nine-foot ceilings, separate dining area, duel entry into bathroom with soaking tub, utility room with full size washer and dryer connections, walk-in closet, a large private patio/balcony with outside storage, and attached breezeway garage. *Select units could reflect upgraded appliances, cabinetry, countertops, wood style flooring, and hardware. 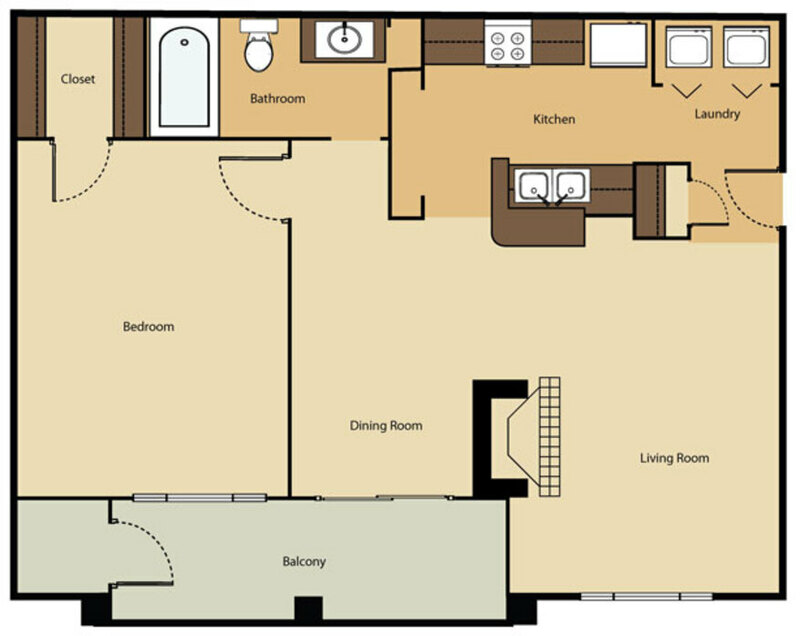 This floorplan features nine-foot ceilings, large entry coat closet, separate dining area, large wrap around kitchen, duel entry into bathroom with soaking tub, utility room with full size washer and dryer connections, walk-in closet, wood burning fireplace, large private patio/balcony with outside storage, and attached breezeway garage. 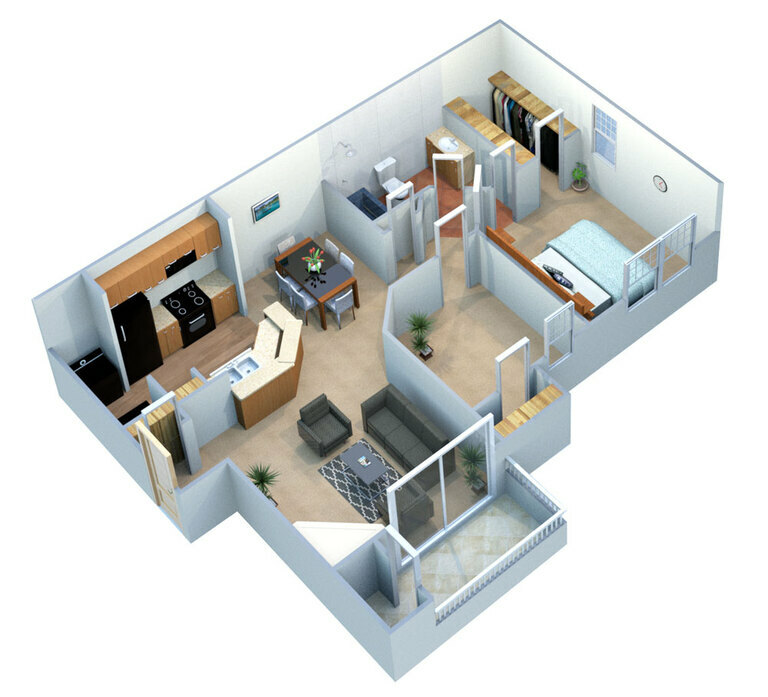 This floorplan features nine-foot ceilings, large entry coat closet, separate dining area, large wrap around kitchen, duel entry into bathroom with soaking tub, utility room with full size washer and dryer connections, walk-in closet, wood burning fireplace and large private patio/balcony with outside storage. *Select units could reflect upgraded appliances, cabinetry, countertops, wood style flooring, and hardware. 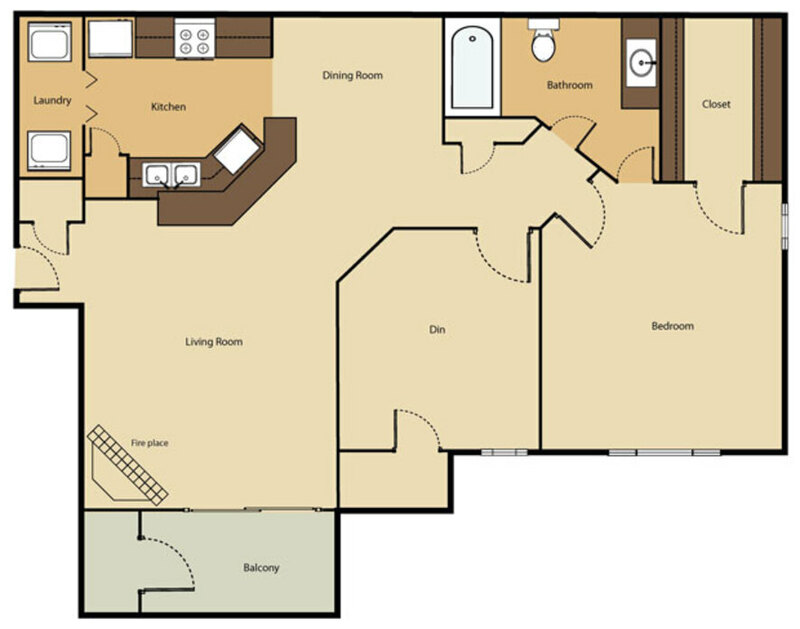 This floorplan features nine-foot ceilings, large entry coat closet, separate dining area, large wrap around kitchen, duel entry into bathroom with soaking tub, utility room with full size washer and dryer connections, walk-in closet, wood burning fireplace, large private patio/balcony with outside storage, and attached breezeway garage. *Select units could reflect upgraded appliances, cabinetry, countertops, wood style flooring, and hardware. 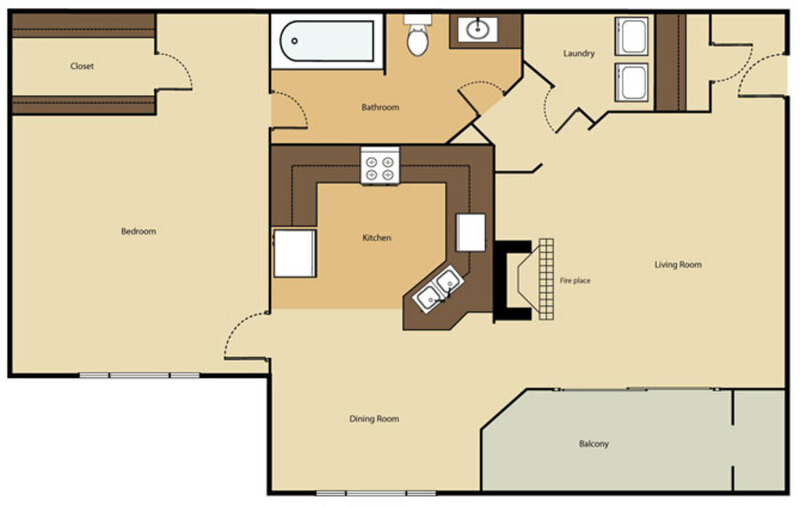 This floorplan features nine-foot ceilings, large entry coat closet, separate dining area, large wrap around kitchen, duel entry into bathroom with soaking tub, utility room with full size washer and dryer connections, walk-in closet, wood burning fireplace, and large private patio/balcony with outside storage. *Select units could reflect upgraded appliances, cabinetry, countertops, wood style flooring, and hardware. 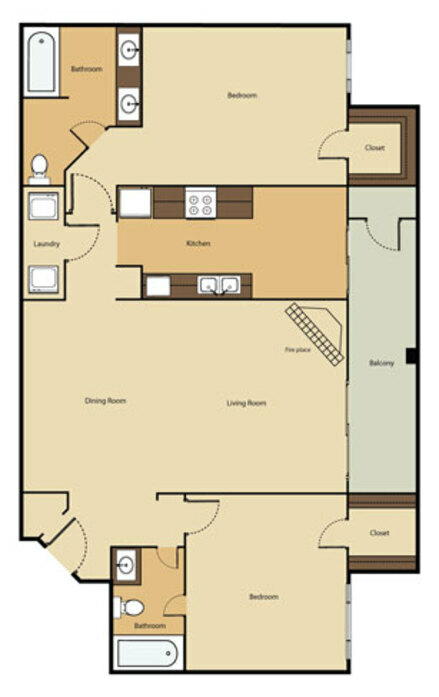 This floorplan features nine-foot ceilings, entry coat and hall closet, separate dining area, open kitchen with breakfast bar, kitchen pantry, duel entry into bathroom with soaking tub, utility room with full size washer and dryer connections, generous walk-in closet in master bedroom, wood burning fireplace, and expansive private patio/balcony with outside storage. 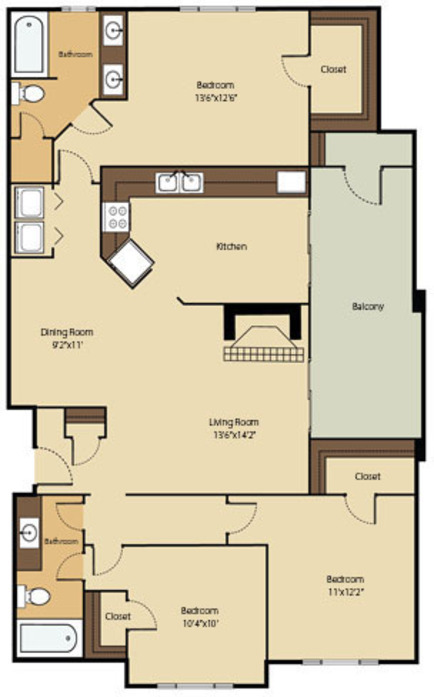 This floorplan features nine-foot ceilings, entry coat and hall closet, separate dining area, open kitchen with breakfast bar, kitchen pantry, duel entry into bathroom with soaking tub, utility room with full size washer and dryer connections, generous walk-in closet in master bedroom, wood burning fireplace, and expansive private patio/balcony with outside storage. *Select units could reflect upgraded appliances, cabinetry, countertops, wood style flooring, and hardware. This floorplan features nine-foot ceilings, entry coat and hall closet, separate dining area, open kitchen with breakfast bar, kitchen pantry, duel entry into bathroom with soaking tub, utility room with full size washer and dryer connections, generous walk-in closet in master bedroom, wood burning fireplace, expansive private patio/balcony with outside storage, and attached breezeway garage. *Select units could reflect upgraded appliances, cabinetry, countertops, wood style flooring, and hardware. This floorplan features nine-foot ceilings, entry coat and hall closet, separate dining area, open kitchen with breakfast bar, kitchen pantry, duel entry into bathroom with soaking tub, utility room with full size washer and dryer connections, generous walk-in closet in master bedroom, wood burning fireplace, expansive private patio/balcony with outside storage, and attached breezeway garage. This floorplan features nine-foot ceilings, entry coat closet, open living and dining area, open kitchen with breakfast bar, kitchen pantry, duel entry into guest bathroom with soaking tub, master bedroom with ensuite bath, utility room with full size washer and dryer connections, walk-in closets, wood burning fireplace, built in bookcases, and expansive private patio/balcony with outside storage. This floorplan features nine-foot ceilings, entry coat closet, open living and dining area, kitchen with breakfast nook area, duel entry into guest bathroom with soaking tub, master bedroom with ensuite bath and duel vanity, utility room with full size washer and dryer connections, walk-in closets, wood burning fireplace, built in bookcase, and expansive private patio/balcony with outside storage. *Select units could reflect upgraded appliances, cabinetry, countertops, wood style flooring, and hardware. This floorplan features nine-foot ceilings, entry coat closet, open living and dining area, kitchen with breakfast nook area, duel entry into guest bathroom with soaking tub, master bedroom with ensuite bath and duel vanity, utility room with full size washer and dryer connections, walk-in closets, wood burning fireplace, built in bookcase, and expansive private patio/balcony with outside storage. This floorplan features nine-foot ceilings, entry coat closet, open living and dining area, open kitchen with breakfast bar, kitchen pantry, duel entry into guest bathroom with soaking tub, master bedroom with ensuite bath, utility room with full size washer and dryer connections, walk-in closets, wood burning fireplace, built in bookcases, and expansive private patio/balcony with outside storage. *Select units could reflect upgraded appliances, cabinetry, countertops, wood style flooring, and hardware. This floorplan features nine-foot ceilings, entry coat closet, open living and dining area, kitchen with breakfast nook area, duel entry into guest bathroom with soaking tub, master bedroom with ensuite bath and duel vanity, utility room with full size washer and dryer connections, walk-in closets, wood burning fireplace, built in bookcase, expansive private patio/balcony with outside storage, and attached breezeway garage. This floorplan features nine-foot ceilings, entry coat closet, open living and dining area, kitchen with breakfast nook area, duel entry into guest bathroom with soaking tub, master bedroom with ensuite bath and duel vanity, utility room with full size washer and dryer connections, walk-in closets, wood burning fireplace, built in bookcase, expansive private patio/balcony with outside storage, and attached breezeway garage. *Select units could reflect upgraded appliances, cabinetry, countertops, wood style flooring, and hardware. This three-bedroom floorplan features nine-foot ceilings, entry coat closet, open living and dining area, large kitchen, first guest bedroom has duel bath entry, master bedroom with ensuite bath, duel vanity, and linen closet, utility closet with full size washer and dryer connections, generous walk-in closets, wood burning fireplace, and expansive private patio/balcony with outside storage. *Select units could reflect upgraded appliances, cabinetry, countertops, wood style flooring, and hardware. This three-bedroom floorplan features nine-foot ceilings, entry coat closet, open living and dining area, large kitchen, first guest bedroom has duel bath entry, master bedroom with ensuite bath, duel vanity, and linen closet, utility closet with full size washer and dryer connections, generous walk-in closets, wood burning fireplace, and expansive private patio/balcony with outside storage. With options for one, two and three bedroom layouts, Parkway Place leases renovated homes in north Dallas. Catering to your every need, classic features and elegant upgrades fill expansive floor plans for an unparalleled living experience. 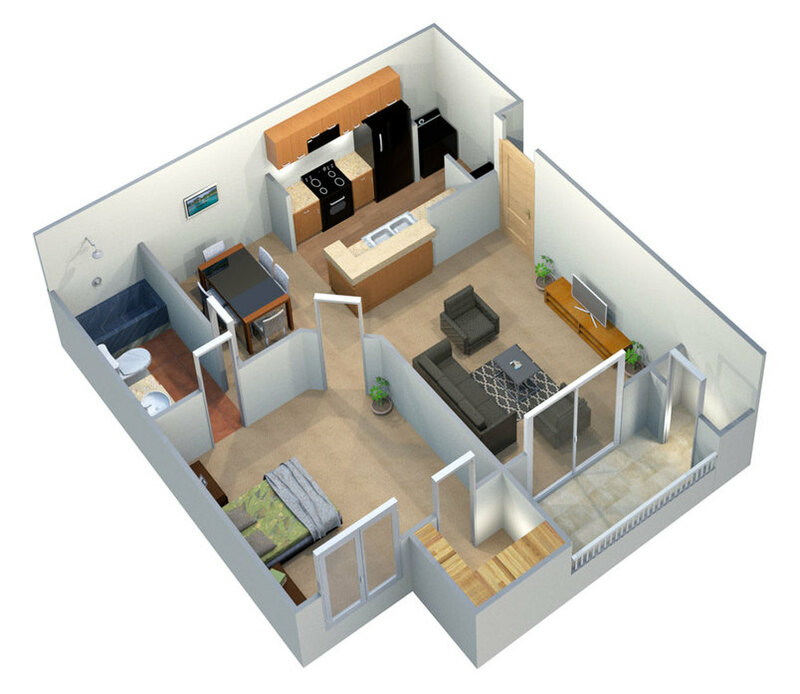 Regardless of which floor plan you choose, your new apartment offers a tranquil atmosphere and modern conveniences in every room. Common areas welcome you with beautiful vinyl wood floors and nine-foot ceilings with crown molding. Combined living rooms and dining areas lead to outdoor spaces with scenic views of the garden-style community. Renovated kitchens offer upgraded appliances, custom cabinetry and breakfast bars with granite countertops. Spacious bedrooms, which include large walk-in closets, comfortably accommodate any size furniture. Each home also provides full-size washer and dryer connections for your convenience. 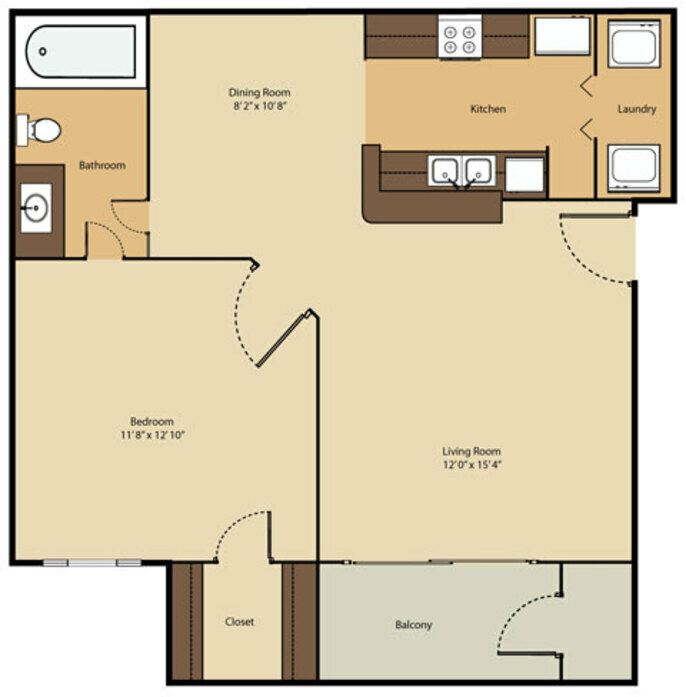 Speak with a Parkway Place leasing agent for current pricing and availability!